Where'd you get those labels from? For me, the final touches are just as important as creating the piece or project. For a while after I started selling my crochet and knit pieces, I wanted to find the perfect label. I wasn't sure exactly what I wanted other then something that would make the piece look finished and professional. 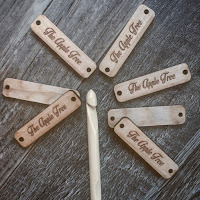 Something that told people that I, The Apple Tree Crochet, made that item. Something that tells people that I take pride in what I create because I put my name on it. So the search to find the perfect label began. 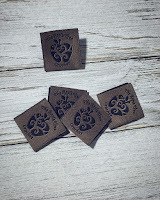 Wooden or leather labels came to mind first because that is what I was seeing everywhere on social media and it also seemed to be my only choice for knit or crochet pieces. I spent countless nights mulling over my options but none of them seemed to be exactly what I was looking for. Eventually, I settled on ordering custom wooden labels. These labels were very nice, but not really what I was looking for. I wasn't able to fit my full name AND logo onto them without it looking overcrowded. They were too big and when I attached them to a hat they looked awkward and lacked the flexibility I needed. Now thinking that leather labels were my only other option. I searched for hours but could not find what I was looking for. I needed something that wouldn't take away from the comfort of the piece. Leather labels, I thought, might be a bit bulky making it uncomfortable to wear around your head on a hat. The cost of leather labels was also a concern. Understandably, leather costs more, but I didn't want to pay extra for something that wouldn't entirely suit my needs. 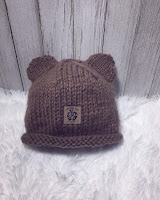 something that was versatile that would work on various pieces whether it be a hat or mittens or slippers or a blanket. I was aimlessly googling custom labels when I stumbled upon Wunderlabel. Immediately I thought that was exactly what I needed. A nice, well made fabric label. Now I had a vision of exactly what I wanted and I was hoping that I could achieve this with Wunderlabel. I started using the Wunderlabel website to design my custom label and was pleasantly surprised when I found it quick and easy to use. Being a little skeptical from my past experience, I ordered 25 samples to start. Wunderlabel contacted me the next day with a virtual sample of what my label would look like. We went back and forth communicating via email until I was satisfied with what I thought would be exactly what I was looking for. The samples took a few weeks to arrive, and when they finally came I was happy to find that they were exactly what I was looing for. I immediately reordered the labels and this time it was even easier then the first time. I just had to select my order number and reorder with the amount I wanted. The price goes down the more you order but even if you only order 100 labels they are still a better deal then the wooden or leather labels. They arrived much faster the next time. Since then I have been putting the labels on all of my finished pieces and have been super happy with the professional branding the labels create. 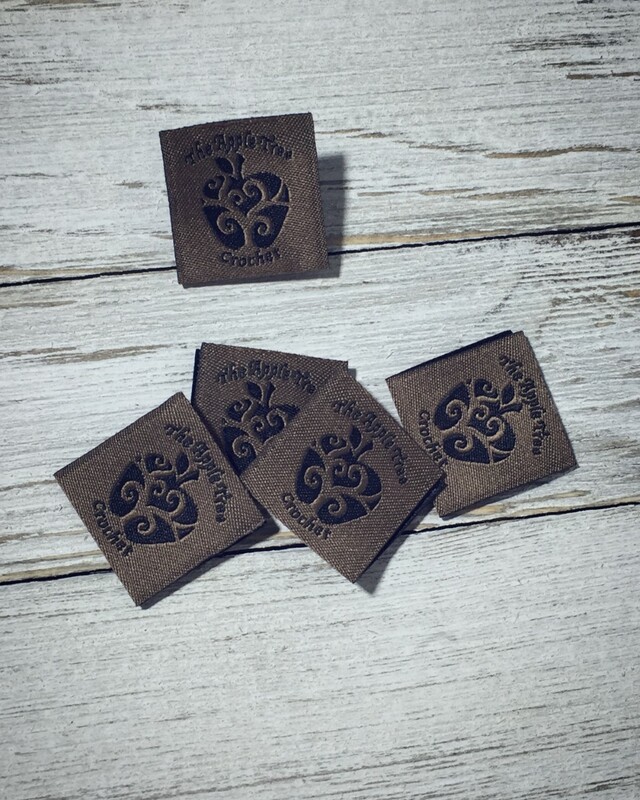 If you are looking for a custom label for your crochet or knit projects, I highly recommend Wunderlabel. Be sure to check them out for yourself. How to Crochet Chair Socks, Free Pattern I am excited and a little nervous to be writing this blog post. I have wanted to blog and share my patterns and newly learned knowledge for crocheting for the longest time now,but the idea was kind of overwhelming for me. Where do I start? What do I write about? Will people like it? Will it be useful if there is already information exactly like it on the world wide web? No more overthinking for this gal.....okay I will probably still think about it way to much and for the first few posts I will probably write something and delete it 100 times, but at least I am doing it. I will be posting about current projects, interesting information that I have gathered through various sources and products that I have tried and liked or not liked. Crocheted washcloths are a timeless piece. I remember my grandmother making washcloths by the dozen. As soon as she would get one made, someone would come along and scoop it up. I myself, have made many different washcloths and scrubbies and have never been left with one to spare. I was wandering through the yarn isles at Michaels the other day (always a dangerous idea), when I spotted scrubby yarn. I stopped dead in my tracks and did a double take. WHAT?! Scrubby yarn! YES PLEASE! 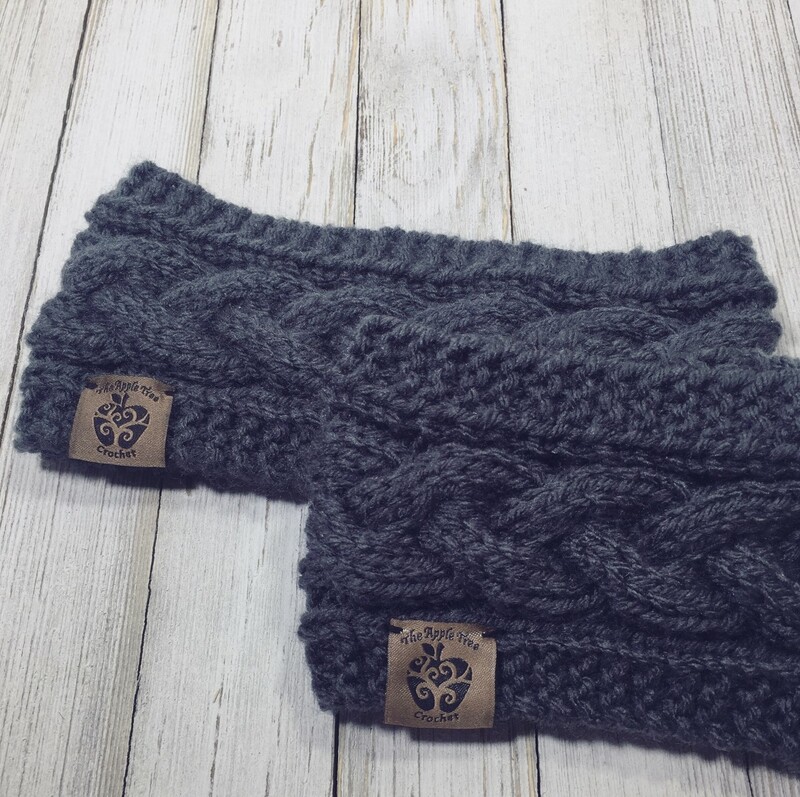 I had no idea what I was going to do with the scrubby yarn, but I NEEDED it! Later that evening, I was trying to decide what kind of scrubby I wanted to make with my new scrubby yarn. I like using scrubbies for tough to wash dishes and washcloths for the rest. Too bad I couldn't get an all-in-one washcloth and scrubby combo...…..Wait a minute, I'm the maker, I can make an all-in-one washcloth and scrubby combo.